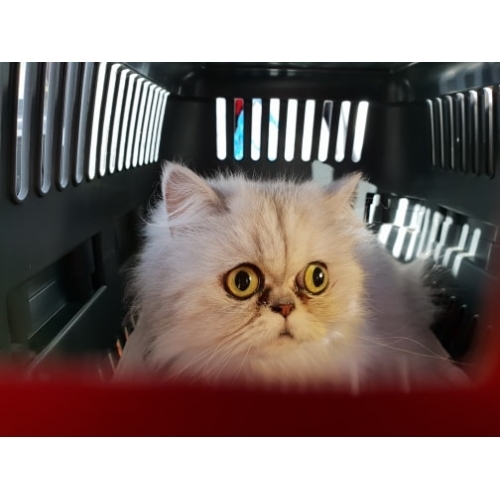 Porsche is a 4 year old girl pewter chinchilla type Persian. Princess catitude. 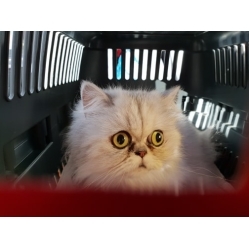 Loving and gorgeous girl - special and a little teacup sizes persian beauty!!! Would ideally like a humoon to herself. Not keen on grooming so we will demat and clip problem areas or vet will do during spay. Foster location is Malvern, Worcestershire. Will be spayed, chipped, dematted , flea, wormed and vaccinated. Can be viewed by matched adopters from end March and adopted if forms, checks on adopter are approved, etc dental done if needed within 12 months according to our vet. 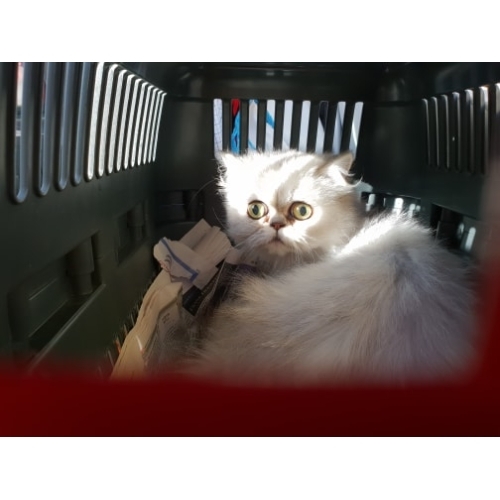 Adoption fee is 350 as dental was needed and we have spayed, done dental, vaccinated and will chip if not done and flea and worm, we also had petrol to collect too for volunteer quite some distance away. Ready to adopt from Tuesday 1st April 2019. Foster is in Malvern, Worcestershire, which is near Birmingham (an hour), Worcester is 15 mins, 2 hours from Greater London on the West side by car. Before applying for a Strawberry cat please read the following. 1. Unless otherwise stated, our cats are strictly indoor only. This means that windows/doors cannot be left open in any room to which the cat has access. A cat cannot be trained to be indoor only - it must be supervised. All members of the house must be in agreement, and understand about keeping doors and windows closed. We are happy to re-home to a flat but, likewise, this means windows closed and no balcony access, unless the balcony is totally cat-proofed (netting all the way), same is true for roof terraces, so that they cannot drop to their death. 2. Unless otherwise stated, we do not re-home to children under 6 years old. If there is nothing stated to contrary, assume the cat cannot go to a child under six. For other cats, please also bear in mind that some cats may also be found to be unsuitable, even for children over 6.
for every cat adopted. We provide 5 weeks free insurance with every adoption, but the original policy may not suit you and as we are not financial advisors you should seek out the best and appropriate insurance to suit your own needs. 4. Most cats are in Greater London, Essex or Kent, with some fostered further afield. 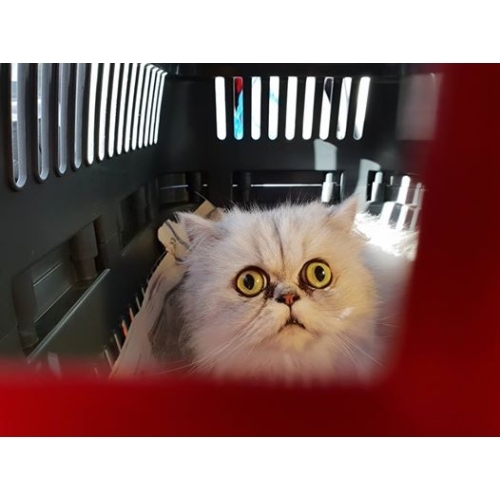 We have volunteers who can transport cats nearer or to you, but fuel costs are payable by yourselves. If you are happy with the above criteria and want to enquire further or reserve a cat, please email.